Zenaida Alcalde is a trapeze artist, actress and artistic director. 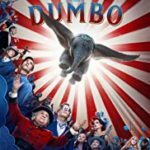 She normally works performing in theatre, but now she is filming Dumbo, her first film experience. Alcalde has worked with different companies too like Circo Aereo (Maksim Komaro), Nofit State Circus and Tattoo Theatre, performing at prestigious festivals like the London Mime Festival, The Edinburg Festival or Circa in Auch. She has extensively toured across Europe whilst regularly returning to Madrid to teach aerial techniques at University and Carampa Circus school and perform with her own company. She is co-founder and co-director of Puntocero Company, which is a theatre, circus and magic company created in the UK with Miguel Munoz. She directed and performed "Fragmentada", that was premiered at circus PRICE in Madrid in 2017, and "Reflejos", a circus act with which she has performed around Europe. Actually she is directing Y Ahora Qué? , a four woman show that will be premiered in December, with which she obtained a Public Award in Festival Artescena, Ávila, Spain.